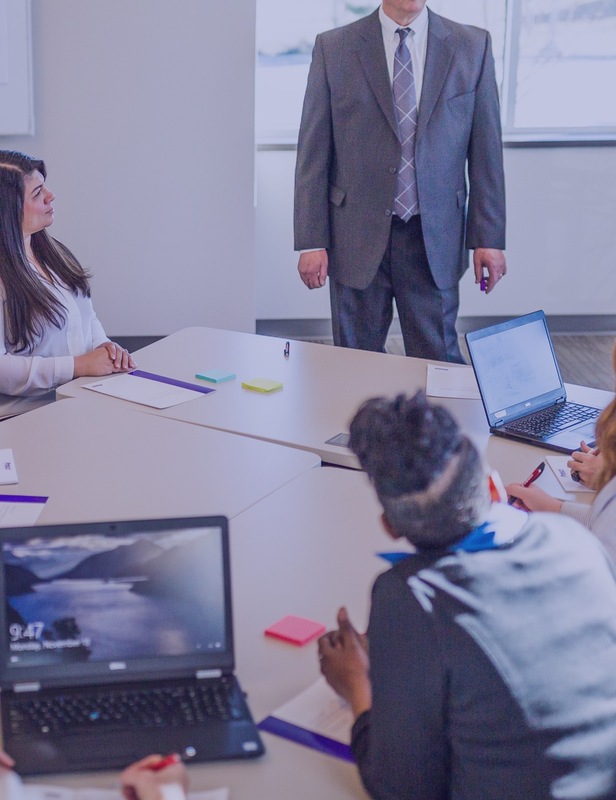 Whether you’re advancing your career or responsible for organizational change, Prosci has a solution that is perfect for you and your organization. 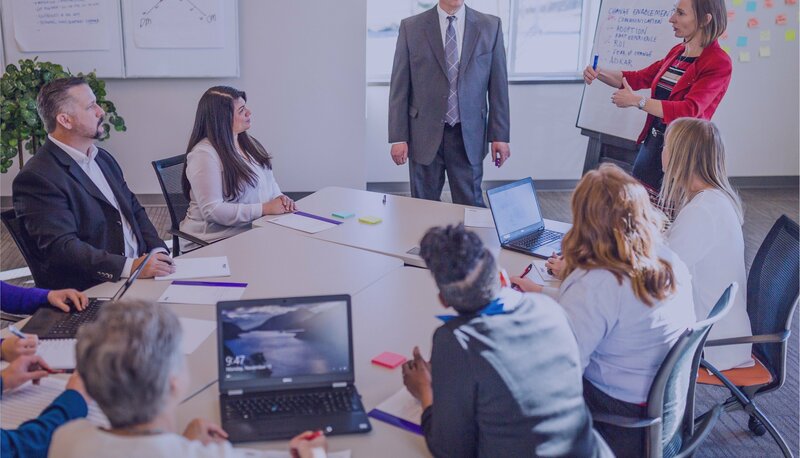 Leverage a change management solution designed specifically for your company, plus all the tools, resources and guidance you need to achieve your goals. 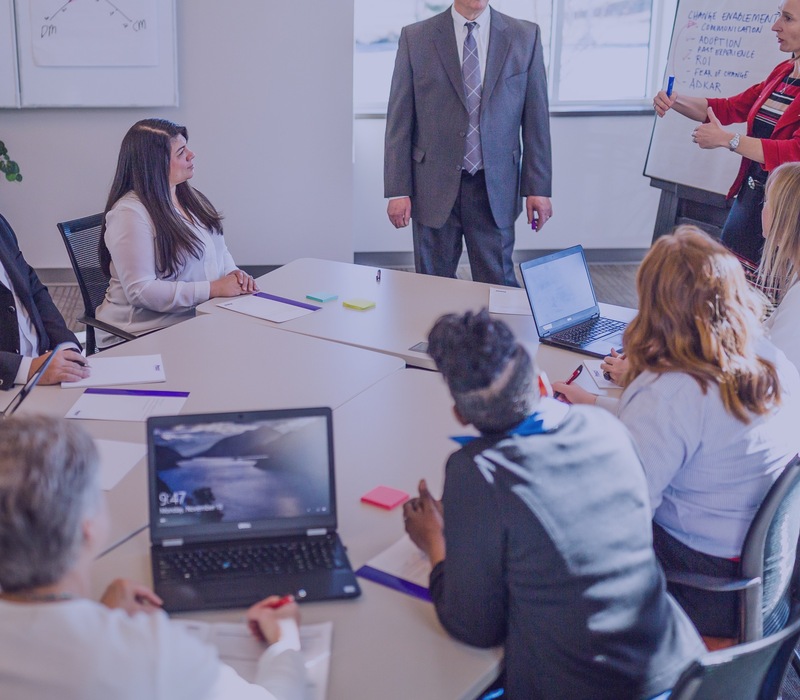 We come to you to deliver our hands-on training and help your leaders, managers and employees understand their roles in driving effective change. Whether you’re delivering an important project or enriching your change capability, we give you everything you need to effect change and deliver results. At CDOT, we know that building and maintaining effective organizational change capability is crucial. Prosci’s comprehensive approach is straightforward, research-based, easy to use and aligns with our strategy. This partnership is fundamental to our success. Role-based training for everyone—from your C-suite to your frontline employees. We bring change management training to your workplace and facilitate hands-on change-readiness transformation. Accelerate the results of your change initiatives with expert help from Prosci’s senior advisors. We partner with you to discover custom solutions that address your change management needs. Build your internal change management training capability and scale training plans with a Prosci license. We have several licensing options available to suit any organization’s needs and aspirations for capability development. Bring world-class change management concepts to your dispersed team through Prosci’s engaging eLearning modules. Licensing eLearning enables you to scale broadly when in-person training isn’t available. Host industry-leading change management experts at your next event. Our speakers bring the latest research and insights to your audience, teaching them how to survive and out-pace the ever-changing business landscape. Find the right solution for your organization.